Fragrant, crispy and soft pizza dough recipe that is just soooo... addictive. So today we will be sharing with you our favourite pizza dough recipe. So one day he was watching some youtube videos on pizza dough recipes and he was like, “Hey, why didn’t we ever make pizza?” Actually I tried it while I was in China (really desperate you see) and it was ok except that I spread the dough over too small a pan (forgot that this is AMERICAN PORTION when he said it makes 1 pizza) and well, I ended up with more of a bread. Anyway, so the quest begins…. We watched a whole lot of videos on making pizza doughs and studied some recipes, then tried a few of them. Finally we chose this to be our favourite because it is by one of our favourite guys, Chef John! (Go watch his videos, he is quite entertaining.) No, but seriously, we liked his recipe because it is so easy and pretty versatile. The recipe he had was a no knead one, but well, who wants to wait so long for pizza right (14-24 hours… Yawn…) So I changed it to a “knead” pizza dough as I will knead with my trusty mixer. But I will sometimes make this one day before so that I let the dough rest in the fridge overnight. This is an optional step and I do it because I am usually too lazy to time when the dough is ready vs when I need it. By the way, the dough can be kept for a few days in the fridge if you store it airtight. Usually I will use a ziplock bag and leave some space for expansion. Once I thought it is done rising and stingy me wanted to squeeze as much as I can in a bag…. Well, it protested by bursting through the bag right in the middle. Not even the sides. The bag with 4 doughs burst through. So 2 is good. So once the doughs are ready, making the pizza is really easy. There is a wide variety of bases you can use. Tomato or pesto or left over curry, etc. Pizza is another thing that is great for finishing leftovers. I have dumped left over tuna salad on it (after baking), char siew, roast pork, shredded chicken, turkey, ham, curry sauce, blah blah blah…. I always make my own sauces and you can click here for my tomato base recipe and my thai red curry recipe. Now, you may be wondering what’s with the odd shaped pizza. Well… it is because I was lazy. I was too lazy to use a rolling pin and decided to just press out the dough and hold it up so that the weight of the dough will start stretching it down. And I will rotate it a little and so long as it is the right thickness, whatever shape it comes in, so be it. I find it more fun that way and not just the boring round or oval. Honestly, every time after I make pizza, I just feel like I should never pay to eat pizza outside again unless it is somewhere amazing. The stingy in me speaking again. LOL… The pizza above only had 2 mushrooms, 1/8 of a red pepper, 1/3 of mozzarella, a handful or cheddar and parmesan and 8 shrimps halved oh and a small handful of basil and rocket leaves. The pizza was overflowing with ingredients as it is. After it is out of the oven, we discovered that one of the easiest ways is actually to cut the pizza with a pair of kitchen scissors! Sorry, we tried those fancy pizza cutters but really, this works way better and cuts through very cleanly without scratching anything underneath. All you need is a something to push one part of the pizza up and a good pair of scissors. Besides being a great pizza dough recipe, you can also make super yummilicious flat breads with it too. I make garlic flat breads with them and it is so delicious fresh from the oven and takes only 15 minutes max. In fact, truth be told, I prefer eating flat breads to pizzas. I will have the flat breads with gravy, soups, or just by themselves. All you have to do is roll out the dough and throw some chopped garlic, sprinkle some sea salt and a drizzle of olive oil. Can also make it cheese or herb. NOTE: I made some small changes to his recipe to make it simpler like replacing corn meal or semolina that he used for dusting the pizza tray before placing the dough on to just wholemeal or regular bread flour. Personally I am not a fan of using semolina and cornmeal because I find the hard, grainy texture below my pizza unappealing and well, there is no need to go out and get a special flour just to dust. I have also learned that warm water is not entirely necessary in our warm climate. The yeast will get super active anyway. But if you have not used the yeast for a while and want to make sure it is still active, then I would recommend you to mix the yeast with warm water first and see if it starts to bubble after 10 minutes. For those keen to try sourdough pizza dough, I will be posting on that soon. Sourdough besides being “atas” sounding, well, it is supposedly better for diabetics and people with gluten intolerance (unless super sensitive). For me, it is a way to use my starter as I like a variety of both soft Asian breads and rustic sourdoughs. If you like to explore other Italian recipes, please feel free to check out our pasta recipes. We have original and sourdough versions available. If you like our recipes, please feel free to comment or share. You can also like us on our FB page or other social media spaces by clicking on the social media buttons on this page. 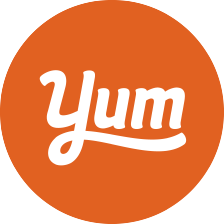 If you want to share your recipes and feedback, feel free to register on this site with confidentiality and add on to our content. Add the ingredients into a large mixing bowl one by one following the sequence above. Minimise or avoid direct contact of salt and yeast if possible as salt will retard yeast. Incorporate the ingredients together using your mixer and a dough hook. Then let it run on speed 2-3 till the dough forms a rough ball. Let the dough sit in the bowl for 20 minutes so as to let the flour absorb the moisture. Turn on mixer and start kneading the dough at speed 5-6. Remove the mixing bowl from mixer. Cover with a wet cloth and let it rise for 2 hours or until it doubles in size. Drizzle table top and dough with olive oil and flip the dough on table top. Knead it gently and then form a large ball and cut into 4, then divide each quarter into 2 again. This will make a personal pan pizza. But really depends on how much topping you have on and how much you eat. Shape each piece of dough into a ball and let it rest for 15 minutes and prepare to make pizzas with them. Alternatively, if you would like to store them, instead of resting, dust them lightly with flour and store 2 pieces of dough to 1 sandwich ziplock bag and keep in fridge. Line a baking tray with baking paper or silicon baking sheet. Dust some wholemeal or bread flour on a baking tray and tabletop. Taking a ball of dough, flatten it with your palm by pressing it out. (You may want to watch Chef John’s video on how to roll if you are not familiar) Then using a rolling pin, roll it out to your desired thickness. It will keep wanting to shrink back, so be a little patient. If you are lazy like me, just flatten the dough with your palm and then let the weight of the dough stretch it out by lifting it in the air sideways and hold one rim, and turn the dough by moving your hands clockwise along the rim, pinching the dough as you go. Place the flattened dough on the baking tray. An example: A little bit of tomato paste ( I usually cook my own or you can use the pasta mixes), top with some mushrooms and ham, then add the cheese. Place the tray at the bottom of the oven, right on the oven floor and bake for 5 minutes. Then move the tray to the top shelf of the oven and bake for another 5 minutes till the cheese is melted. Slide the pizza on a plate so that you can free the tray up to bake other pizzas. If not just leave it on the tray to cool. Then using a cake server or a spatula, push up one side of the pizza slightly and cut the pizza however you want it.